The children will enjoy using their imaginations as they enter the wonderful world of dance. The classes allow the children to start to explore musicality and self-expression. They learn basic ballet steps and postures whilst having lots of fun! We leap like dolphins, gallop like horses, fly like butterflies and even do a little flamenco with our castanets! Ballet classes are for girls or boys who love music and dancing. Their confidence will grow as their technique improves. I always mix in fun free work and there is an end of year show so they get to show off their wonderful dancing skills! There is the option to take exams but only for those who want to. 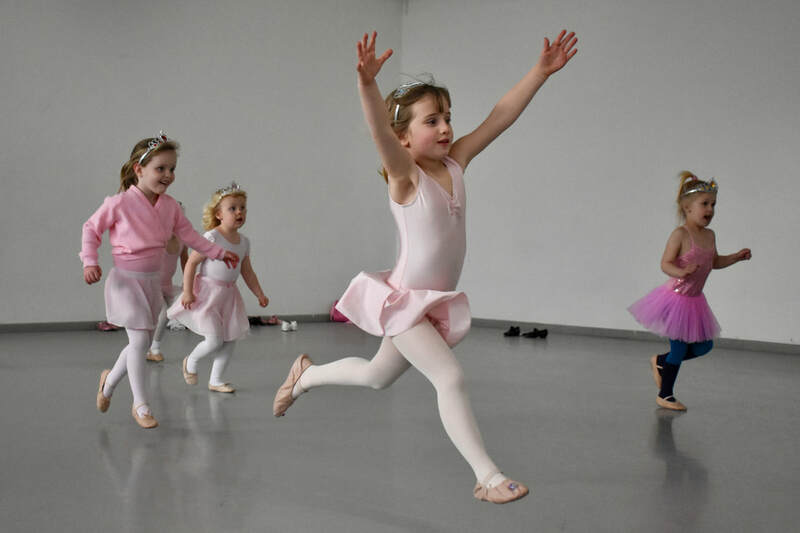 Embracing the wonderful imaginations your little ones have they will start to learn the basics of Ballet, as well as exploring rhythm and musicality. 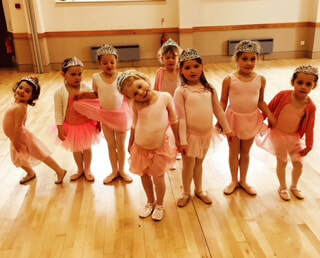 Primary Ballet introduces little dancers to many of the basic steps and positions whilst keeping it fun! Primary Tap teaches them basic steps and rhythms. The children love making the sounds with their feet! This class suits those who have been doing Pre-Primary for a little while and are ready to progress or for those who are starting ballet when they are a little older. It bridges the gap between Pre-Primary and Grade 1 by starting to incorporate a little more structure to the exercises whilst still including some more playful dances. The Tap is a continuation of Pre-Primary, increasing speed and improving technique. The dancer now starts to use the Ballet barre and learn more steps and postures. We still want to capture their imaginations and enjoy the music and dance. Dances in this grade include; "Picking Blackberries" and "Has Anybody Seen My Mouse?" This class accommodates those who may have done some ballet before was well as those with no previous ballet experience. We will ensure all the ballet basics are correct and progress as strength, flexibility and skills improve. Syllabus work will be mixed with free work to keep the classes fresh and fun. They are starting to have a real appreciation of musicality and style. They learn jumping steps and waltz steps. Further steps and postures are introduced in Grade 3. The syllabus work is still mixed in with free work to challenge the dancers and teach them to be able to pick up new choreography.